Massive open online courses (MOOCs) stepped into the spotlight several years ago. Many saw them as a revolution in traditional education. Online courses provide students endless learning opportunities, wherever they live and whatever their circumstances. Imagine having the sum of human knowledge at your fingertips! Granted, MOOCs offer many advantages. Cost reduction and ease of access make online courses advantageous. But are online courses truly the avant-garde educational miracle we were lead to believe? Online education appeared as a solution for an obvious problem. Many individuals wanted to access high-quality education. But, not being physically present in the classroom made it impossible for them to pursue this aim. Institutions have designed massive open online courses to appeal to large-scale audiences. In 2011, when the MOOCs phenomenon began, two Stanford professors wanted to experiment. They wished to offer a course on Artificial Intelligence online and free of charge. What they did not expect was the total number of enrollees. They had anticipated a few thousand students to enroll. Much to their surprise, by the start of the online course, over 160,000 students had signed up. Since then, massive open online courses have gained unprecedented popularity. Your connection to the internet allows you to take part in virtually any course you desire. You can enroll in “Fundamentals of Neuroscience” from Harvard. If medicine isn’t your area of interest, learn about the struggles of Islamic communities by taking the University of Copenhagen’s course “Constitutional Struggle in the Muslim World”. You can learn photography with the help of online courses, you can unravel the mysteries of mathematics, English composition and writing, chemistry or languages. We’ll provide you with numerous such course suggestions below. At the moment, most massive online open courses offer students the opportunity of taking introductory classes. These types of courses are what students take at the early beginning of their college education. Even so, certain MOOCs also cater to more complex subjects. An average online class typically lasts between four and twelve weeks, depending on the class difficulty and topic. But unlike a traditional course, MOOCs also differ because of their unique grading system. You would expect that such learning would motivate students by the thousands. And the truth is that it does. In fact, millions of students have enrolled in online college courses, but statistics show that only 10 percent complete the courses they begin. Most students who drop out of such online courses do so because they treat MOOCs like continually evolving textbooks for them to consult. Others encounter different problems. “It’s difficult to match the student engagement [of a] face-to-face setting,” Christopher Brinton, Princeton PhD candidate explains. Synchronous learning may solve this issue. However, most students find MOOCs self-paced programs particularly appealing. Synchronous learning involves instructors and students interacting at the same time. However, asynchronous learning allows participants to schedule their study sessions in accordance to their own schedule. Massive open online courses became so widely accessed that universities started integrating them into traditional curriculums. The purpose was to allow MOOC students to transfer college credits. Initially, these credits could be used in either introductory or remedial courses. Three years ago, the American Council on Education began assessing whether online courses would be eligible for college credit. The idea behind such thinking is easy. Certain students-to-be from other countries would have virtually no chances at a higher education at top universities. But showing dedication and commitment should be enough to make potential educators glance in your direction. “If you’re a random student from another country, what are your chances of being admitted to a university here? But if you can show you’re a motivated student who’s completing five courses and done well on the proctored exam, I think a university would pay attention,” Daphne Koller, co-founder of Coursera explains. In the meantime, the ACE has awarded multiple MOOCs with credit recommendations, so that students completing such online courses via online platforms will be able to use those credits towards educational purposes. Earning credit is easy, though it may vary from platform to platform. Coursera, for instance, offers students the possibility of joining a “Signature Track” for each course. Upon completion, students are asked to take a special exam. Furthermore, these exams are conducted via webcam, so that cheating is excluded. Of course, proctored exams are paid for. However, the price is acceptable by anyone’s standards: between $60-$90 for proctored exams and $30-$99 for Signature Track exams. The credits that students receive once passing their exams can be used to open additional avenues for academic achievement. Having completed the course, a student will receive his transcript. This includes ACE credit recommendations. This transcript can be presented to colleges and universities so they can be considered for prerequisite or undergraduate credit. Accreditation is paramount when you plan on transferring the credit you received from an online course. It proves that the school of your choice meets the prerequisites. It has the curriculum and support of other institutions of its kind. Therefore, search for accredited online colleges. Large course platforms often display accreditation badges next to the course so that you know precisely what you are enrolling in. Second of all, you need to understand the credit requirements of the college you are targeting. While some may be lenient in accepting and transferring credit, others may not. It’s always a good idea to consult with a college admissions office whenever attempting a transfer. They can offer guidance as to your transcripts, letters of recommendation, accreditation requirements, as well as additional information regarding your transfer. Aside from the ACE, there are other accreditation forms that certain courses may achieve. Most of them include credit-by-exam programs such as CLEP, Excelsior, DSST (Dantes), AP Exams, and GED Exams. After obtaining your transcript, simply submit it to the school registrar to obtain your transfer credit. . so that your transfer credit is obtained. Business 101: Principles of Management. As you will notice with most business courses, they are all structured into chapters and individual lessons (in this case, 17 chapters and 135 individual lessons). In order to pass the final exam, a score of 70 percent or higher is required. Business 102: Principles of Marketing. Students will be able to learn about marketing ethics, advantage, international marketplaces, pricing and selling strategies, retailing, product marketing, marketing research, and many others. Business 103: Introductory Business Law. Totaling 212 lessons grouped up into 24 chapters, this course will guide students through business law, legal procedures, statue of frauds, employment law, labor law and international business law so as to prepare them for the final exam. Business 104 and 109: Information Systems and Computer Applications and Intro into Computing. A hundred lessons dealing with computer systems, organizations, hardware, internet, network system technology, systems development, data management, and much more. Business 106 and 107: Human Resource Management and Organizational Behavior. Two individual courses dealing with employment and organizations, employee compensation, human resource management, career management, job design, conflict in the workplace, and leadership styles. Business 111: Principles of Supervision. This course details the roles and obligations of supervisors, management functions, planning, management functions, leadership, staffing, as well as communication. Five Biology courses, including Intro to Biology (Biology 101), Genetics (Biology 102), Microbiology (Biology 103), Anatomy & Physiology (Biology 105), and Pathophysiology (Biology 106). All courses have an ACE credit recommendation. Eight accredited courses, including Research Methods in Psychology, Educational Psychology, Human Growth and Development, or Social Psychology. There are currently eight courses available on edX that include transferable credits. Specifically, seven of them are provided by Arizona State University (ASU), and one is provided by Harvard University. HST 102 Western Civilization: Ancient and Medieval Europe. Students explore information regarding European History ranging from ancient times all the way to the fifteenth century. ASM 246 Human Origins. Paleoanthropologist Dr. Donald Johanson will guide students through human evolution and fossil, retrieval as well as humankind’s place among other inhabitants of planet Earth. AST 111 Introduction to Solar Systems Astronomy. This course will provide students with basic knowledge as to the origins of our solar system, its contents, and structure, as well as mathematical applications when seeking scientific results. EXW 100 Introduction to Health and Wellness. EXW 100 is a three-credit course that deals with nutrition, health, and wellness. Students learn the latest information as to exercise, health, and wellness trends. CEE 181 Technological, Social and Sustainable Systems. Students will have the opportunity of exploring system interactions within our modern world. MAT 117 College Algebra and Problem Solving. This mathematics course focuses on algebraic reasoning application, quadratic, and linear functions, as well as exponential and logarithmic functions solving. ENG 101 English Writing and Composition. A course that provides students with the opportunity of improving their English writing and composition skills. HUM 2 The Ancient Greek Hero in 24 Hours. A swift incursion into Ancient Greece through Homer’s Iliad and Odyssey, Sophocles’ tragedies, and Plato’s dialogues. Five Coursera courses are also approved for college recommendation. Among these five, four are undergraduate credit courses, while the fifth is approved for developmental math vocational credit recommendation. Duke University offered courses: Introduction to Genetics and Evolution & Bioelectricity: A Quantitative Approach. University of Pennsylvania courses: Calculus: Single Variable. University of California, Irvine courses: Pre-Calculus and Algebra. There are multiple other online courses that don’t offer credit recommendations but still ensure resources and materials from the best schools and colleges. 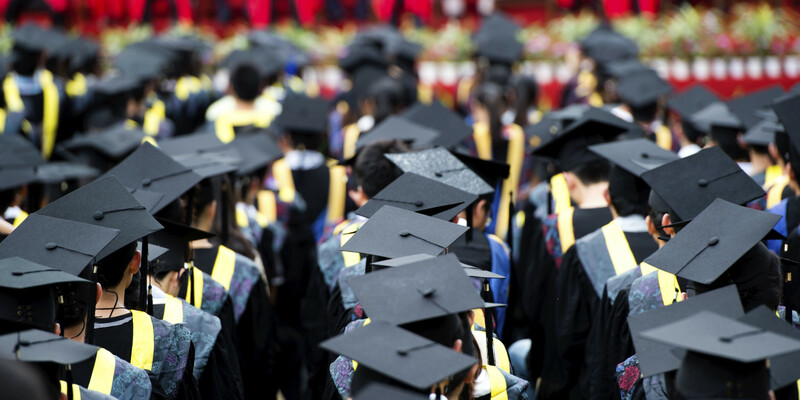 They may offer completion certificates instead of college credit, and employers have a high opinion of these certificates. You may even decide to take online defensive driving courses. Search for TEA approved courses to make sure that the course you’re taking will also be worth your while. Additionally, other courses may help real estate agents become more competitive, provide safety training, and even help medical professionals better their skills. The New York Times demystified massive open online courses, claiming that despite their visionary intent of offering elite education to the masses, they failed in accomplishing just that. Udacity co-founder, Sebastian Thrun insists that MOOCs are only great for the top 5 percent of a student body. Furthermore, his assumption is based on the fact that most (if not all) MOOCs stem from top-universities. Enrolment percentage in online institutions. Professors at such universities usually working with the brightest students in the nation. As such, cannot offer motivation or cater to the academic difficulties that the remaining 95 percent of students may face. 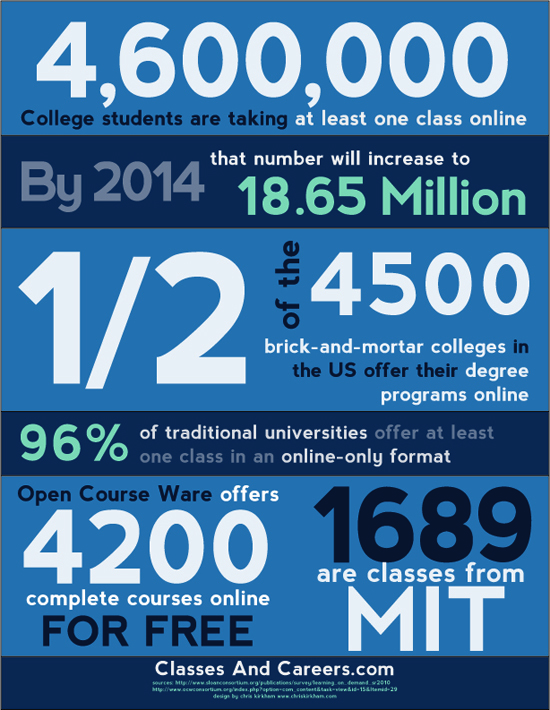 Even so, the numbers and statistics supporting online education and online courses are still impressive. Financial experts foresee that the global e-Learning market will reach $107 billion by the end of this year. Revealed by a new report published by Global Industry Analysts, Inc. More importantly, the Learning Management System Market is also expected to grow to $7 billion by the end of 2018, with the largest revenue portion stemming from North America. The overall acceptance of online education has also caused more universities to accept such courses. A result of this expansion is the necessity for more course providers. Most importantly, universities will have to find more course coordinators, more teachers, and more IT specialists to ensure the proper functioning of the courses they provide. Experts estimate that the learning market will also drive employment up. Companies have already started to cooperate with Coursera, Udacity, and other MOOCs platforms. They hope to identify the best-performing students, as they could represent potential candidates for job openings. Perhaps the best example is Google’s decision of hiring over 80,000 of Udacity’s HTML5 course graduates. Several companies appreciate the efforts of their employees, and 8 percent of companies use such MOOCs when performing corporate training. But if the percentage seems small now, by 2017, companies expect it to rise to 28 percent. Under-performance is an issue with MOOCs, as only one in 10 students actually complete the courses they sign up for. However, several companies are analyzing these patterns and coming up with solutions. Furthermore, They’re using different features and exploring a student’s learning experience. Such companies can even provide a multitude of pedagogical tricks to help “push” students towards their goals..
AScording to Andrew NG, Coursera co-founder, such companies can even evaluate a student’s mouse clicking, reading patterns, and keystrokes. If anything, MOOCs may provide valuable information as to how students learn. Information that platforms such as Coursera collect may even help universities restructure courses, according to Sebastian Thrun, Google VP, Stanford robotics professor, and Udacity co-founder and CEO. Udacity conducted a study that attempted to identify whether computer literacy was an issue with its students. Surprisingly, many users mentioned such problems. Some students aren’t able to properly operate a keyboard or a website, Thrun explains. Even so, there are countless students who have tremendously benefitted from the rich source of information that MOOCs represent. Interactive technology has made online learning possible. More importantly, you can do them on your own time, in accordance to your schedule, at your pace and with the prospect of a degree, diploma, or college credit.